Leading Manufacturer of Hollow, Solid Interlocking And Traditional Fly Ash Bricks Eco Friendly, Gearbox Body, Special Purpose Bearing Block, Bearing Housing & Stand, Heavy Fabrication Steel Pylon 90 Ton and Electric Hoists from Anand. Size (Inches) 10 x 5 x 5,10 x 6 x 4 inch and 10x5x3.5 in, 9 In. X 4 In. X 3 In. 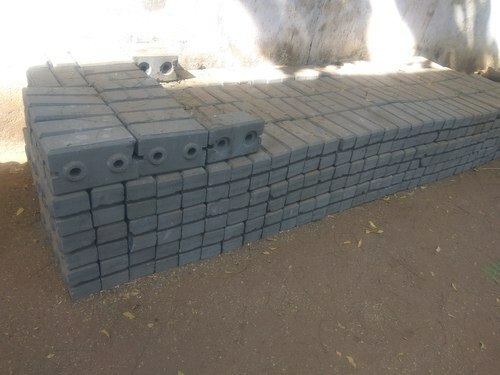 Eco friendly solid, hollow interlocking and traditonal fly ash bricks. · Cost-savings as cement and sand are used in minimal quantity for constructing the wall. Anyone can learn how to build using this system in a matter of days. Builders can quickly familiarize themselves with this system since the method still relies on bricks just like conventional methods. Other building systems require competent installers who charge exorbitant prices for their services. Building system should not be that hard or expensive. And with our interlocking bricks, it never is. Advancement in hydraulic engineering enables the IB to gain its strength due to high-pressure compaction of two volumes becoming one. Nice finish enables the brick wall built using IB to be left exposed without the ugly and fake plasterworks. Amrita Permanent Magnetic Lifter (APML) - The most practical, safe and economical way to handle ferrous loads. APML is absolutely safe and is not dependent on power supply. The Rare Earth Magnets are used to manufacture the lifter for the powerful lifting capacity. These are used for handling steel plates, blocks, press moulds and used in loading and unloading in machines during handling operations. They are easy to operate and safe in handling; hence they are widely used as hoisting devices in factories, docks, warehouses and transportation industries.